Peonies seem to be the "in" favorite flower and it's difficult to see why they wouldn't be. Their heavy, tightly closed blossoms open up into glorious, sweet smelling, effusive blooms that range in color from deep red, neon pink, ombre pink and white, and all the way back to a creamy white. When in season, about May-June (it's tragically brief), they're in abundance in our Oregon farmer's markets and can be frequently found at Whole Foods. The blooms usually run about $2 a stem (or $15 for a ten-stem bunch) and they last from a few days, in the late season, to almost a week, in early May. I stopped by the Portland Farmer's Market this morning and was sad to see the bunches of blooms dwindling. There are about two more official weeks of peony season this year and the it'll all be over and some other flowers can take the spotlight. I make it a point to buy a bunch every week during their season and have learned some awesome tips to keeping them healthy and alive from various growers and florists. Read on for more info on this favorite flower. 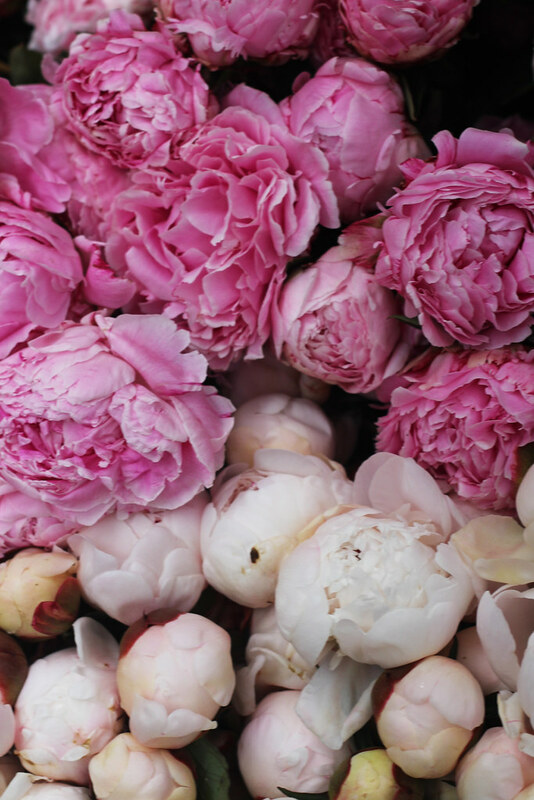 Peonies are native to Asia, Southern Europe and Western North America (yay!). They're named after a Greek student (Paeon) who was saved from the jealous wrath of his teacher by Zeus. To save him, Zeus turned him into a peony. 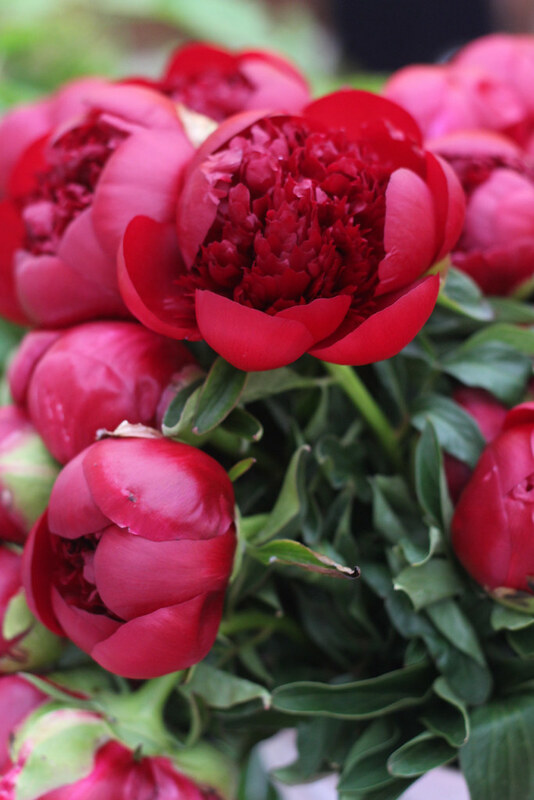 There are up to 40 species of peony and you can usually see the abundance at the market and in the photos above. Each have a different bloom and petal structure and range in many colors. 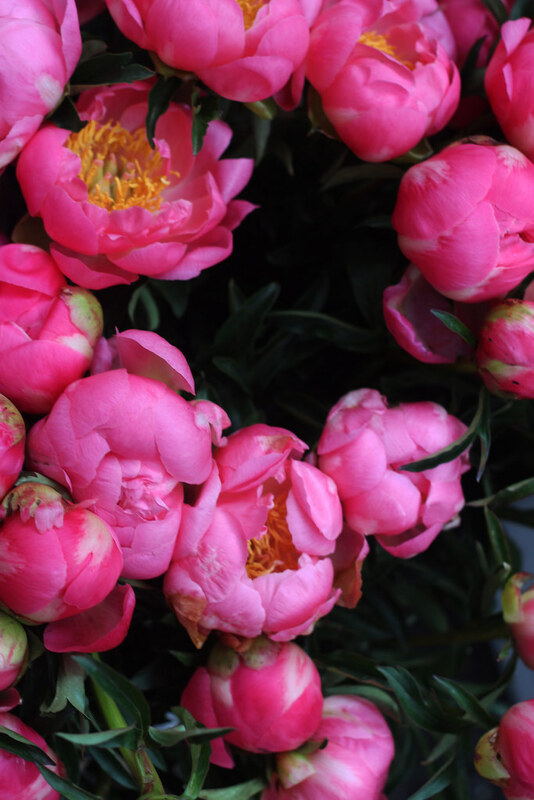 They grow in both bushes and in trees and there are actually a few peony farms you can visit here in Oregon (Adelman in Salem and Brooks Gardens in Salem). You can purchase peony plants and plant them in late April. Once planted, they take a while to get settled (up to three years for a bloom), but after that they're disease-resistant, don't need much water, and will produce beautiful blooms for up to 100 years. 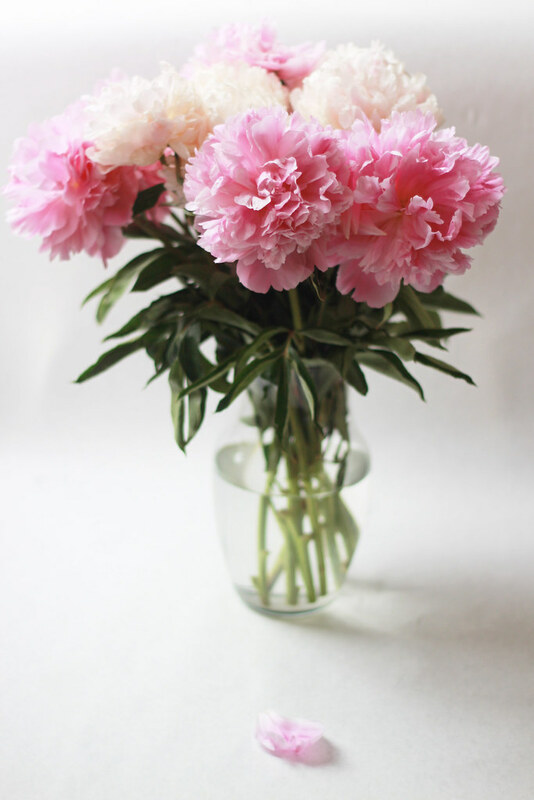 After buying a bunch of peonies, you'll want to treat them like other flowers: cut the stems (about 1/2") and add them to a vase full of water. If you'd like them to open up quickly, for a dinner party or houseguests, you can add them to lukewarm water. If you add them to cold water, they'll stay closed and last longer in your home. I usually buy very closed peonies from the market so that I can watch them open. 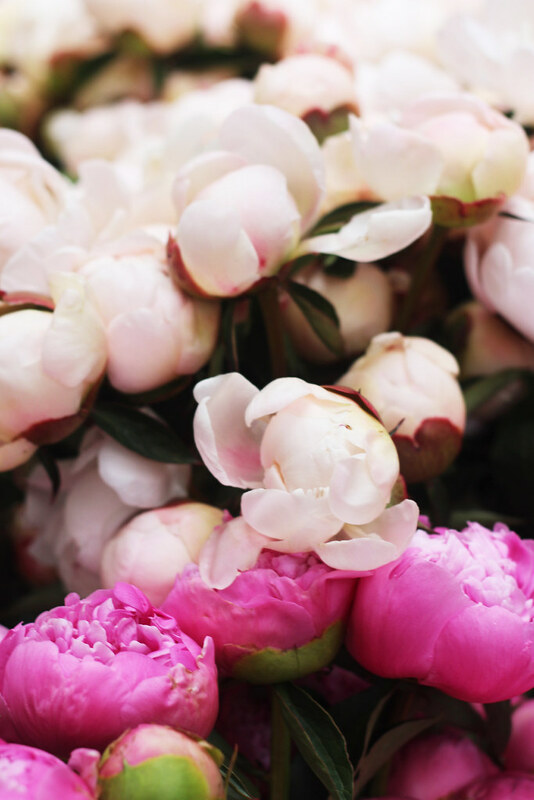 If your peonies look like they'll start to open too wide on their first day (usually caused by hot weather or a warm room) you can actually place them in the fridge at night and they'll close back up. The next day, they can be placed back in cool water to open up again. How awesome flowers! Love them, love the blog! They are definitely my favorite flowers and it seems like every other blogger's as well. Which I completely understand considering their glorious beauty, but I also find this whole peony phenomenon a bit funny. In the country where I'm from peonies have never been considered the "it" flowers. I think many people over there think of them as the complete opposite of cool or trendy. They're mostly associated with grandma's gardens and not exactly in that nostalgic way. It makes me wonder if we feel the same way about flowers as we do about trends. 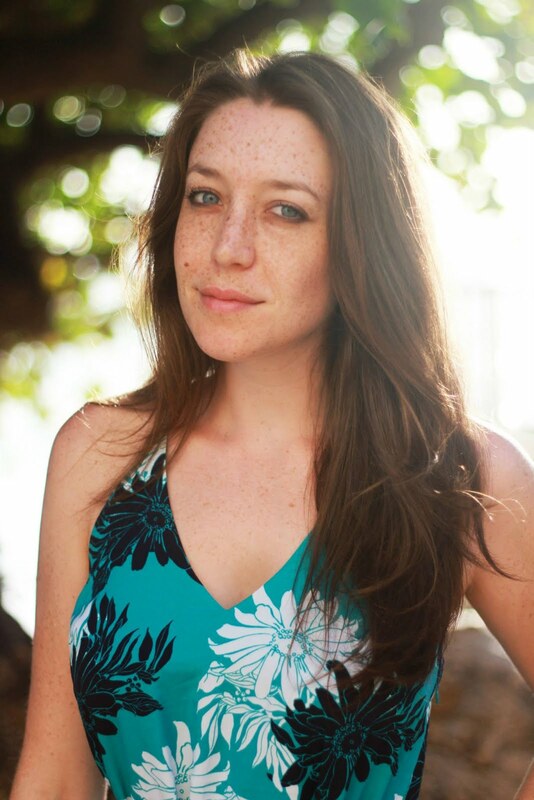 If social media affects how we perceive their beauty. Fascinating! I can totally see how they'd be a "grandma's garden" flower. 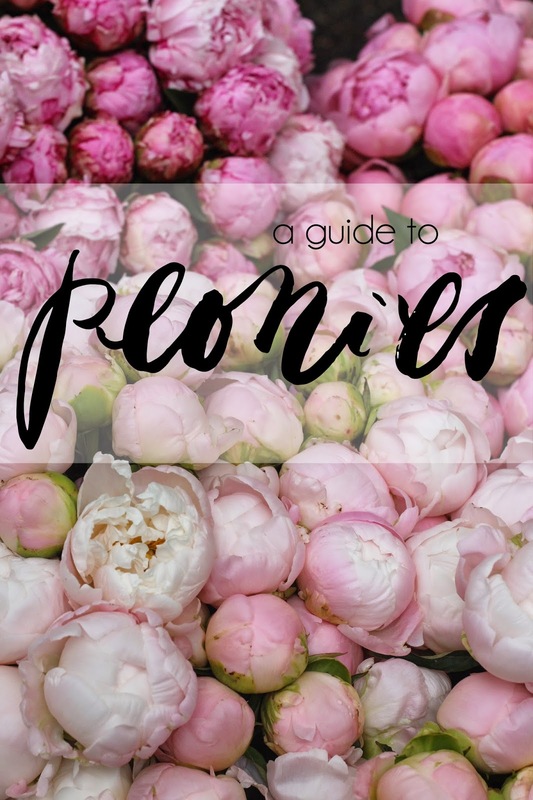 I had never noticed a flower trend before the peonies (very interesting) - I tend to just buy what is in season here and whatever it is I usually am in love with it (tulips, daffodils, roses)! :) I just discovered lilac branches and am in love with those too! I hadn't known about peonies prior as they don't grow where I'm from in Hawaii! Same here! I loved how the smell when I was young, but my mom influenced me into thinking peonies are common and undesirable... So I ignored them for years before this big blogger trend hit me! Now I'm thinking of planting my own to enjoy for next year. My grandmother had peony bushes while I was growing up. They were so beautiful!